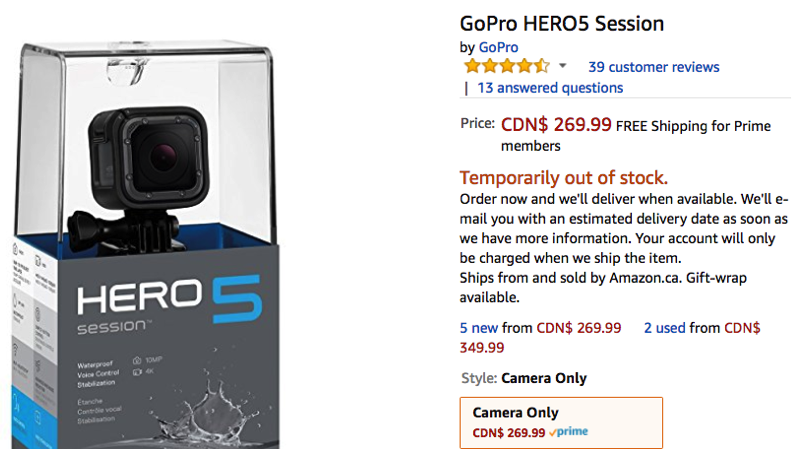 If you’ve been eyeing a sale on the GoPro HERO5 Session, it has just received a price drop on Amazon.ca down to $269.99, its lowest price ever according to price tracker CamelCamelCamel. Earlier this month, it was priced at $400, then dropped to $345 and now $269.99, a huge discount. 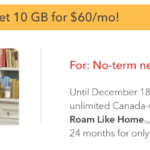 Amazon.ca shows it is temporarily out of stock, but it’s still available to order at this price and will ship once re-stocked (hopefully in time for Christmas or just after). The GoPRO HERO5 Session shoots 4K video and 10MP photos, comes in a waterproof housing (up to 10 meters), video stabilization and can shoot 1440p in 60 fps and 1080p in 90 fps. It also features wind noise reduction and voice control like its older brother, the HERO5 Black (currently $399.99). Click here to jump on the GoPro HERO5 Session while it’s still on sale on Amazon.ca.